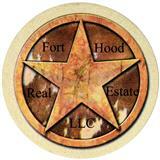 Killeen is located just east and south of and adjacent to Fort Hood. Over the past 10 years there has been tremendous growth, bringing the current population to approximately 137,147. This rapid growth has been attributed to the close working relationship between Fort Hood and the surrounding communities, especially evident during large deployments. Military retirees, soldiers being discharged, and others have moved to the Killeen area or have decided to make the Killeen area their home because of the facilities, the schools, shopping and recreational opportunities, reasonably priced homes, and much more. Educational opportunities are provided to residents from thirty-two elementary schools, thirteen middle schools, and 10 high schools by the Killeen Independent School District. There are also several higher level educational opportunities available in the local area and include Central Texas College, Texas A&M University – Central Texas (TAMU-CT), University of Phoenix, St. Mary’s University, University of Maryland, University of Mary Hardin-Baylor, and Temple Junior College. Besides Fort Hood’s Carl R. Darnall Army Medical Center, health care is provided by the Metroplex Health System, Scott & White Hospital, and numerous smaller clinics. if you enjoy golfing . The Stonetree Golf Course has a lot to offer.